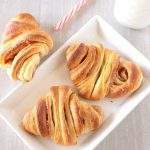 We are on to Day 5 of our A – Z Baking around the World and I realized that I did not have that many savory bakes planned out at all. 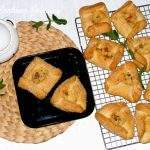 Going through my bookmarks, I came across this Vegetarian Empanada recipe from Argentina. 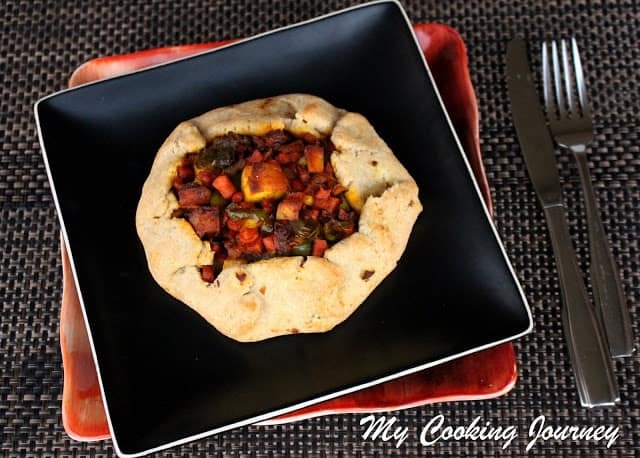 We love Spanish flavors and I thought this Empanada will be something that everyone in my family would love. The website I got inspired from to make these Empanadas has 4 different vegetarian filling option to choose from and I chose to make the Onion and the Cheese Empanada. It is very interesting to realize that every cuisine has some similarity between them. 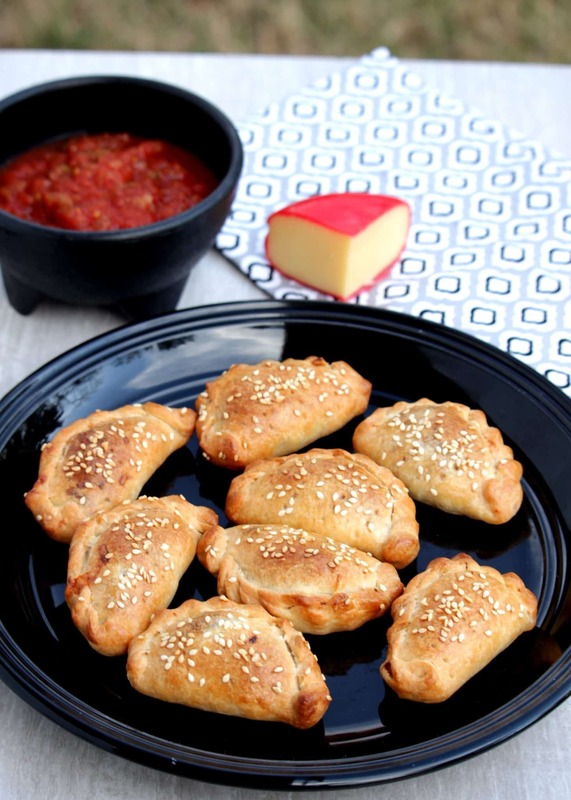 Like this empanadas in Central America, there is Calzone in Italy and Samosa or Puff in Indian cuisine. 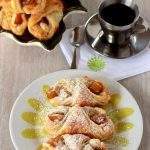 There is a slight difference in the dough and the filling which is altered based on local availability of ingredients. The Empanada shell are easily available in the super market, but since I was making it for the special month long Marathon, I decided to make my own. The dough for the empanada is quite rich and buttery. 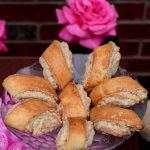 It is more like a pastry dough that makes the empanadas very flaky and tender. This was the first time, I have used Gouda cheese and I was very happy to have tried it out. My boys loved the cheese and ate the left over piece of cheese by itself. I used Spanish sweet onions for the filling. You can use any onion, but make sure you caramelize them and let it sweat under low to medium heat to ensure that it releases its sweet juices. I also added crushed red pepper to satisfy our spice loving palette. My MIL is here with us now and she does not like cheese. I made a few of the empanadas with just the onions and she really enjoyed it. 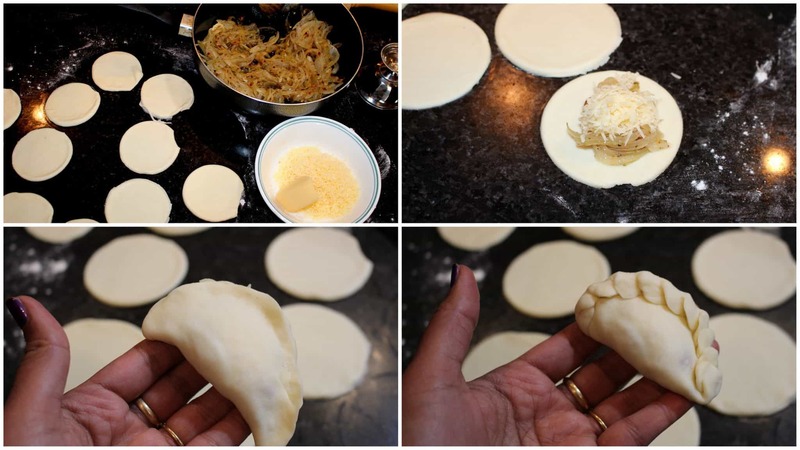 Coming to shaping of the empanada, I wanted to try out the rolling technique that is used in many of the Indian desserts like this Kusli from Chhattisgarh. I had used fork to seal the edges when I made them couple of year back, but this time, I tried out the rolling technique. It was one of the most effective way to keep the filling inside and I would highly recommend trying this technique out instead of using the fork. It does take a bit of practice and is a little time consuming, but definitely worth the effort. In the bowl of food processor or in a large bowl, measure the flour, salt and baking powder. Mix. Add the chilled and cubed butter and combine them well until it resembles bread crumbs. 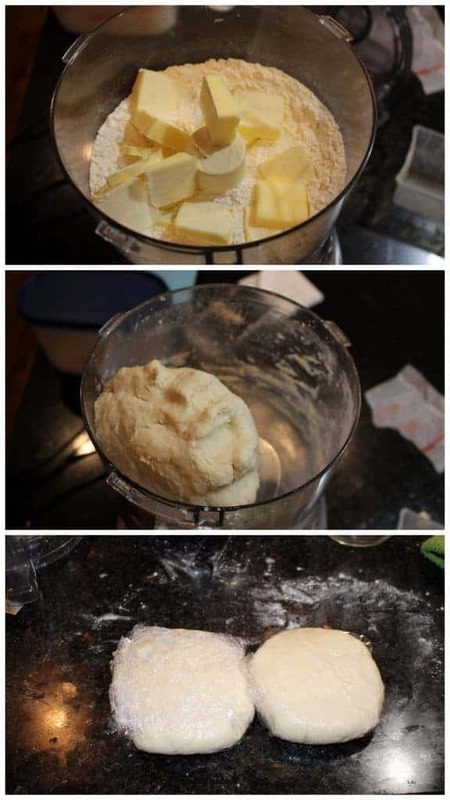 I used my food processor and hence pulsed it a few times to combine the butter with the flour. Make sure you don’t run the machine continuously as that will increase the temperature and melt the butter. In a pan heat the oil and then add the caramelized onions. Add the salt, crushed red pepper and the oregano and let the onions cook in low to medium heat until light brown and aromatic (about 15 minutes). 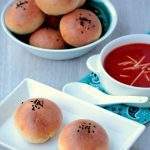 Remove the refrigerated dough and roll it into thin circle. 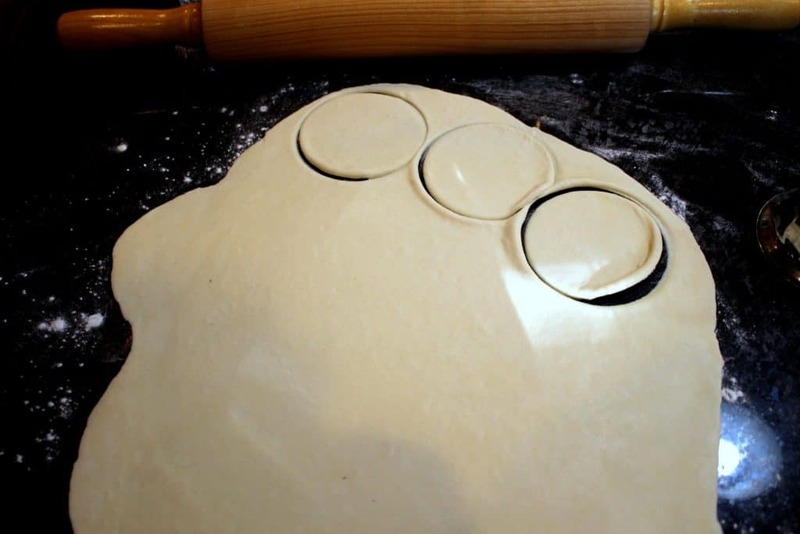 Cut out about 3 inches wide circles from the dough using a lid or cookie cutter. You could use bigger size as well. I made my empanadas about 3 inch wide. Place about 1 tbsp of onion mixture on one half of the circle and add about 1 tsp of grated cheese. cover the filling with the other half of the dough (form a semi circle) and pinch the corners well. At this point, you could seal the empanadas using a fork or by folding the edges over each other (like I did). Whatever method you follow, make sure you seal them well. 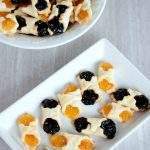 Brush the empanadas using egg wash, cream or milk. I use a combination of cream and milk. Place the baking sheet in the middle rack and bake for about 30 to 40 minutes or until they are golden brown. 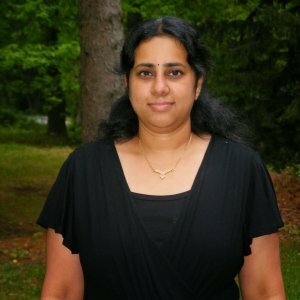 So wonderful you made these from scratch Sandhya. I would surely love these. I prefer a savory bake anyday and this is just what I would love to dig in right now! 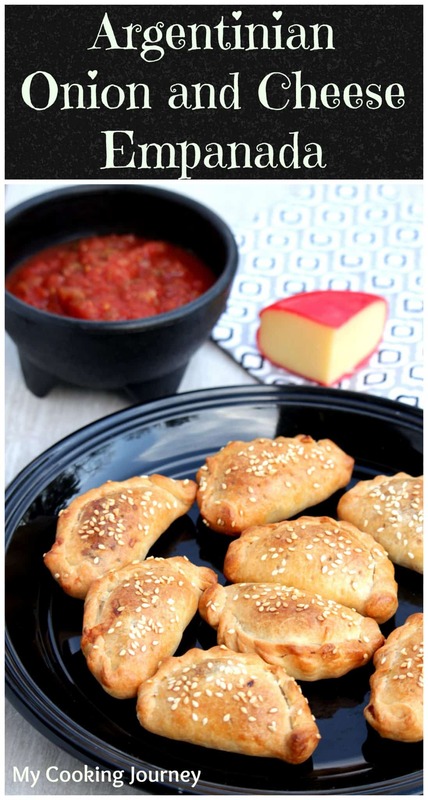 Your empanadas look amazing Sandhya.. Golden brown crust and cheesy filling — yummy!! It’s great to have the patience of making it from scratch! 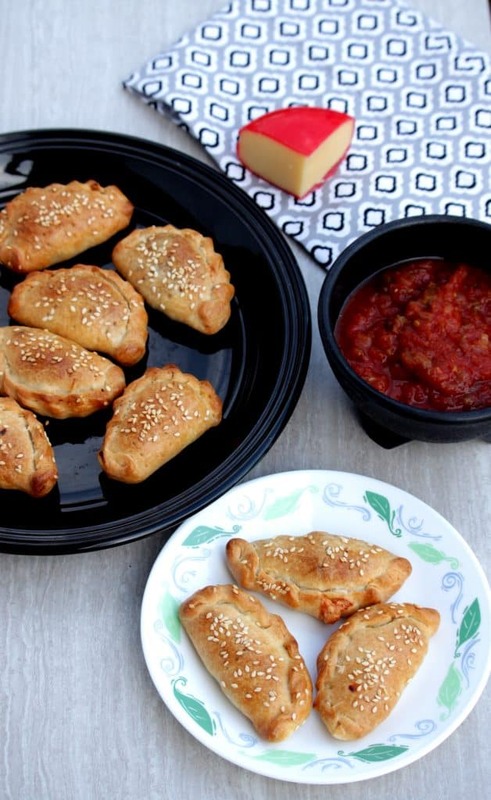 These empanadas look perfect especially with cheese & onion filling ….drooling here. Gouda looks cute on the side. Omg, this empanadas are seriously a real torture Sandhya, and that filling rocks yaar, i want to munch some. Tempting to the core. 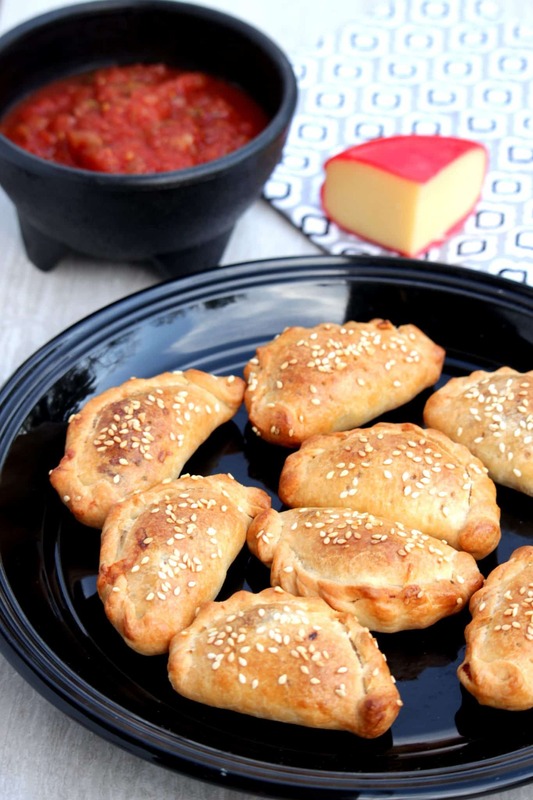 Every bite would be a heaven for this delicious Empanadas!! Yummm.. onion and cheese wow heavenly combo. Great choice. I want to eat like 10 of these! Those caramelized onions have me drooling! You got me at empanadas, my guilty pleasure. It is so nice that food can connect us all in such a great way. 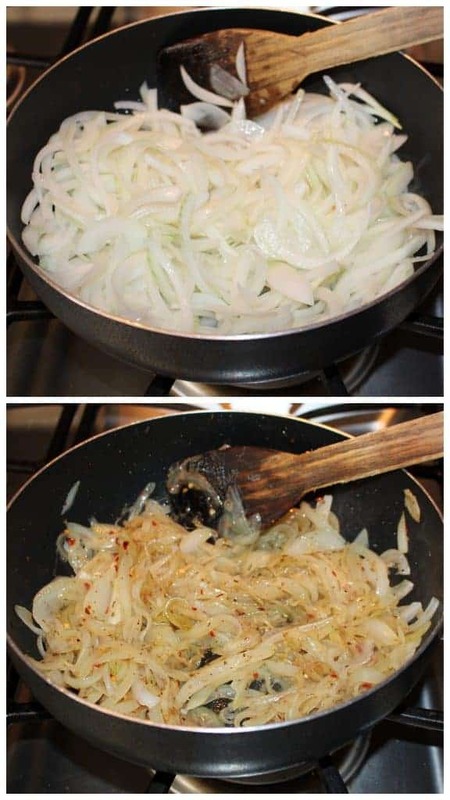 Beautiful recipe =) onion and cheese a classic combo! These look delicious and Gouda is one of my favorite cheeses. I bet a nice smoked one would be delicious, too! They also look so versatile. Wow love the artwork on these tasty little gems. The crust is beautiful. I have had a Mexican version…which I think would be similar. These would be a crowd pleaser for sure. Little pockets of deliciousness! I grew up eating sweet empanadas and don’t often eat savory ones but this combination of cheese and onions sound amazing! 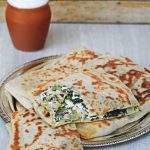 These sound really good with the caramelized onions and gouda cheese. What a great combination and I love your step by step pictures. The empanadas look so delicious and I love the simple cheese n onion filling. 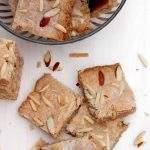 It makes for a great tea time snack. 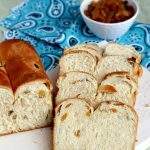 I love caramelized onions, so I am all about the gouda cheese and onion filling! I could totally make a meal out of these, but I also think these would make a great appetizer! We love Empanada in the Philippines and we certainly have our own version of this. Unfortunately I haven’t tried making it but with your great tutorial, I am now inspired. YUM! I love that you made the dough from scratch. I’m always so tempted to buy store-prepared dough whenever I made empanadas at home. And, I’ve never added chili peppers to the onion mixture – I really have to try that! Your empanadas look really tasty! I may have to try making them when my daughter comes home from college, she’d really enjoy the flavors. I LOVE the alphabet series!! 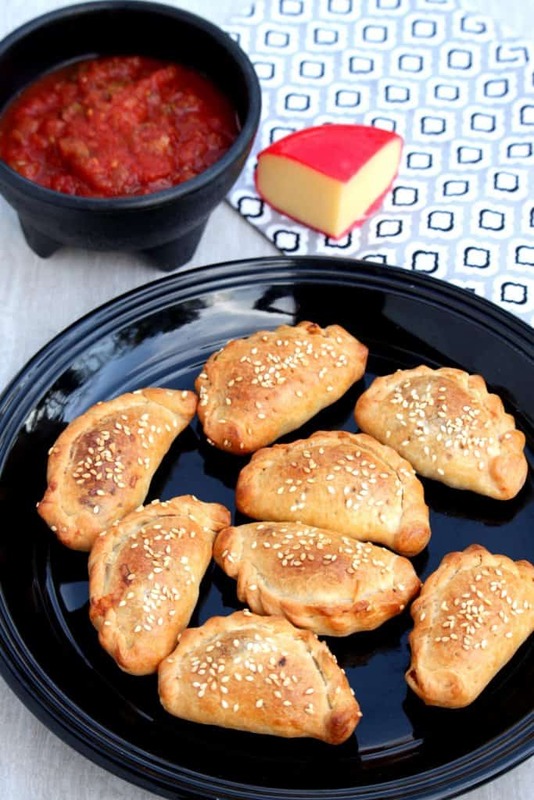 Empanadas are amazing, I would love to serve these to my family. yours look fabulous! I love empanadas as well! 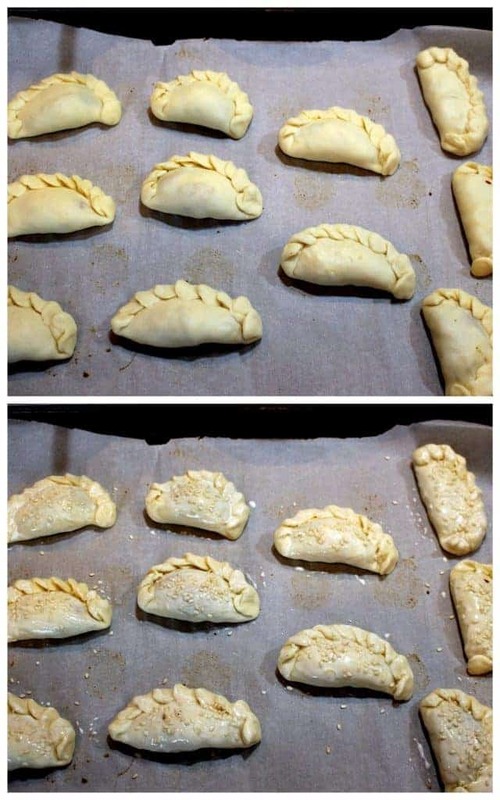 These look (unsurprisingly) very similar to Chilean empanadas that I have made a few times, which are quite different from the Costa Rican empanadas that my husband loves. Such a great bake! I have a very good friend who is Spanish and she once baked me some empanadas, l loved them, and l’m a big fan ever since. Your recipe is absolutely scrumptious, such a treat! Love those crusty and sumptuous looking empanadas. The hand made pattern on the edges is so pretty.